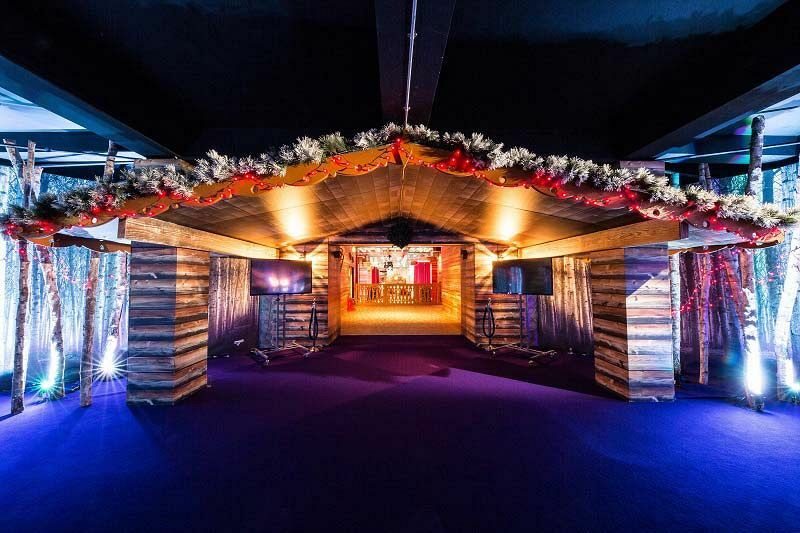 This festive season, you’re invited to a unique and stunning festive lodge in London where you’ll experience an unforgettable Christmas celebration and indulge in delectable food and drink, all whilst enjoying some incredible entertainment! As you arrive at the party, you’ll find yourself deep in the forest, surrounded by snow speckled pine trees, bears and wolves. 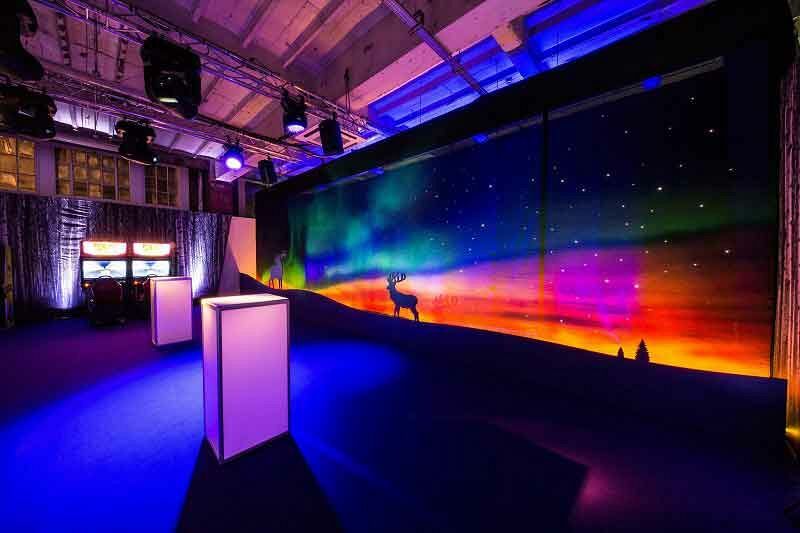 Enjoy a sparkling prosecco reception in this alpine wonderland as you chat with colleagues and bask in the ambience of the stunning Northern Lights. Discover the sounds and scents of a winter paradise with beautiful lighting, breath-taking interior design and great music that will capture your imagination for a truly unforgettable experience. When you are called for dinner, you’ll turn the corner and find yourself at the stunning Christmas Lodge itself. 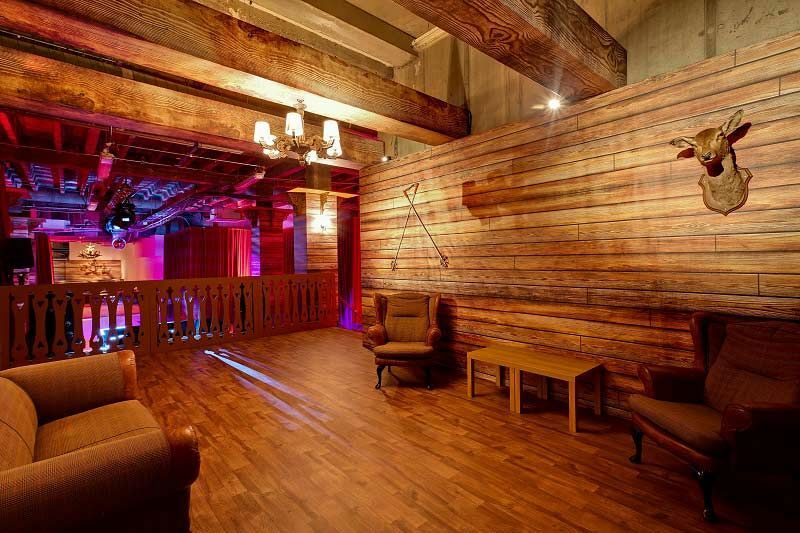 Enter through the traditional chalet exterior and descend into the authentic mountain hunting lodge that features gingham draped tables, timber paneled walls, vintage skis and stag heads. Once seated, you’ll tuck into a delicious three-course dinner that’s been created by the talented hospitality team and will enjoy full, rich flavours with every bite. If you'd like to enjoy drinks with dinner, then why not pre-order one of the venue's tasty drink packages or treat your guests to some drink vouchers. After dinner, the live party band will get your feet moving, so let your hair down and prepare to dance the night away! Head to the Alpine arcade for a thrill or if you can handle it, have a go on the Rodeo Reindeer. Spoil yourselves with a visit to the chocolate fountain or enjoy teas, coffees and mints at the coffee station. With full event management, you can relax in the knowledge that your every need will be taken care of this year. 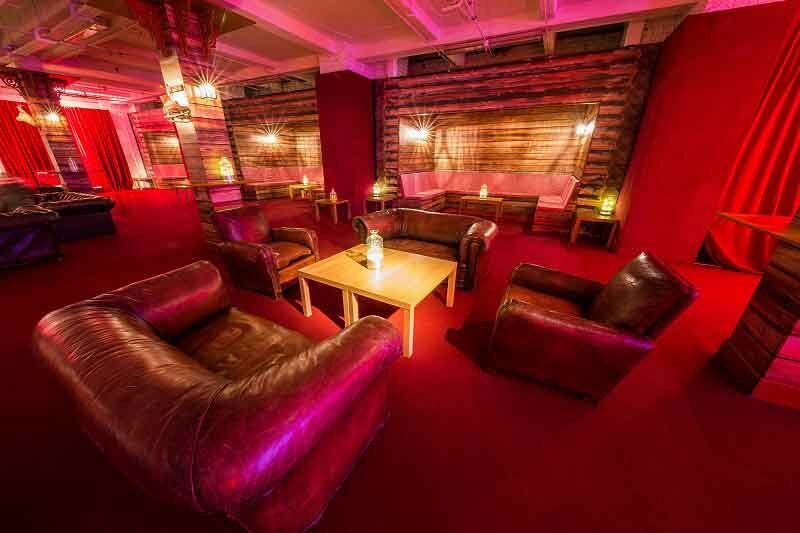 Book your places at this shared festive lodge Christmas party today and experience a night to remember! Succulent supreme of chicken with a smoked paprika crumb and garlic and parsley butter, accompanied by a horseradish rosti and a side serving of chantenay carrots, kale and green beans. Dietary requirements notified in advance will be catered for. Kosher meals available for extra charge.